Fall used to mean going back to school, learning new things and reconnecting with old friends. But for most of us, fall is just one more season in the year. Capture your inner child and make this fall a season of learning. Don’t know where to start? Check out our selection of personal development and business books. They’ll inspire your heart, challenge your ideas and encourage you to make a change. If you want to be really frugal, use your local library to check them out instead of buying them. You can also form a book club with your friends and discuss the books’ concepts together. Nothing is more encouraging than sharing your hopes and fears with a group of supportive girlfriends. Brown became a Ted legend with her talk about shame and vulnerability. Her most recent book, “Rising Strong” is a manual on learning how to embrace failure and rise again after a loss. 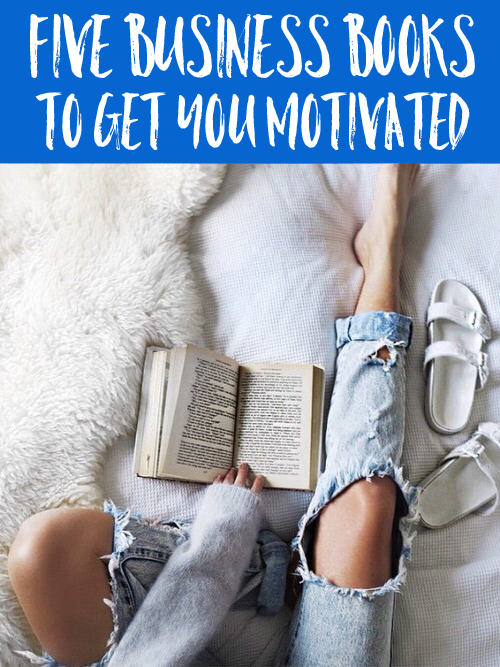 Whether you’ve lost your job, broken up with a boyfriend or feeling down about your life, this book can show you how the most successful people use failure to propel themselves even further. The author behind “Eat Pray Love” returns with a book about harnessing and developing creativity. You might have heard her Ted talk on the discipline of creativity. If you’re looking to get past your perfectionism to unleash your creativity, Big Magic is for you. Gilbert shows how to not let fear stand in the way of the gifts you can offer the world. Whether you’re running a small business or working on a side hustle on the weekends, you need to read this book. Founder of Nastygal, Sophia Amoruso knows how to take an idea and see it flourish. Her hard hitting writing is a testament to her fearless personality. Don’t be afraid of her no-holds-barred approach; she dispenses the kind of tough love that will help stop making excuses in your life. You will love GirlBoss. Slaughter became famous for writing an “Atlantic” piece saying that women can’t have it all. In her latest book, Slaughter details where inequality lies and how to fix it. An expert on productivity and maximizing your time, Laura Vanderkam dispels the notion that you can’t have a demanding job, raise children, have a great marriage and still have time left for self-care. She includes time logs from successful doing it “all” and explains how they’re able to make time for what’s most important in their lives. Instead of making women feel bad, she includes innovative ideas for making sure each hour of your day counts. I Know How She Does It is an intimate look into the habits of women with jam packed days, that earn around $100k or more. This is the second recommendation for Rising Strong I’ve seen this week! Definitely adding it to the list. Love this! I will definitely have to check out #GirlBoss 🙂 Thanks for the recommendations.